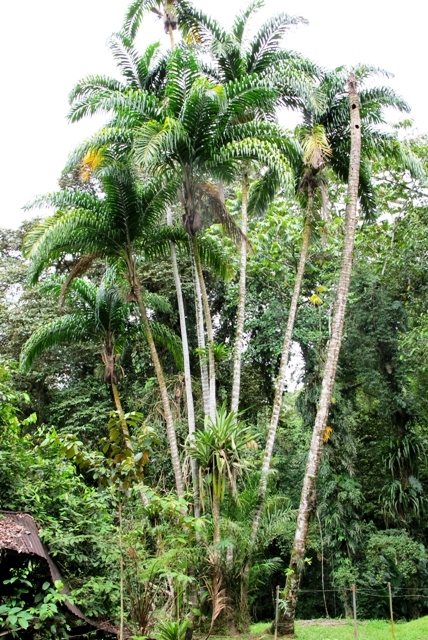 Common names: Peach palm, pejibaye, chonta. Pupunha is also called pejibaye in many areas. It is a multi stemmed palm tree that can reach upto 20 metres. This plant is most probably native to the Amazon. 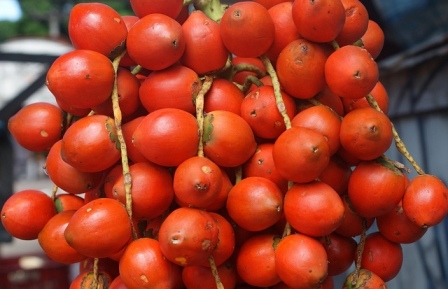 It is now widely cultivated for its fruits and hearts from Nicaragua and Honduras to northern Bolivia.. 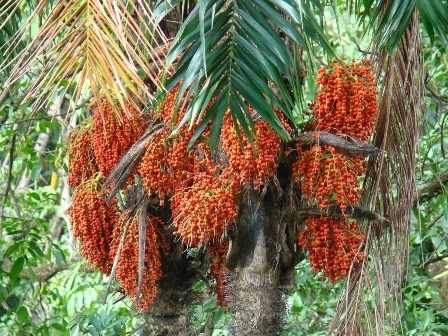 The palm hearts are often harvested from basal offshoots which do not kill the trees. Pupunha bears small sized red, yellow or orange fruits around 5 cm in diameter in clusters. One cluster may contain 75 to 300 fruits weighing 12 kilograms. Each trunk produces about 7 fruit clusters at the principal harvest and 3 at a secondary harvest. Since 4 or 5 trunks are generally permitted to grow from each clump, the average yield is about 90 kg per year. So the yield can be upto 9000 kg per hectare at a planting distance of 10×10 metres. Pupunha fruits usually 1-seeded, a few have fused seeds, and some are seedless, these having a special texture and flavor making them highly desirable. 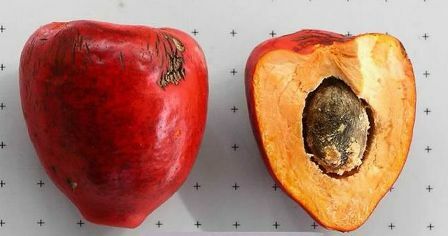 The fruits are rich in vitamin A, C and nicotinic acid. They are also high in protein and starch. Pupunha tree also yields good quality animal feed.